“Community” actor Donald Glover must have a serious crush on former “Degrassi” star Drake. 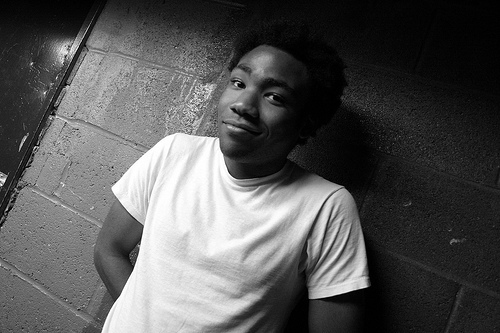 Taking a note from the Canadian rapper, Glover has adopted the stage name “Childish Gambino” and stepping foot into the music industry. The song is good and creating a lot of buzz if the Hype Machine popular tracks section is any indication, but his style is eerily similar to Drake’s flow and delivery. Electric Panda ain’t gonna hate though, the track is solid and worth a listen. Regardless of style, the lyrics are clever and the beat is understated and mellow. Dig. This isn’t his first foray into music, having released a few cover songs and rap albums. Thanks for Earmilk for the heads up on this one. I’m glad I took the time to give this guy a listen. I really love his style. His delivery, punchlines, and wordplay were on point as well. I can tell he had a lot of fun with that song!